t’s never easy jumping in during a story which is already in progress. There are a lot of unanswered questions, potential spoilers loom around every corner. That is, if you are even aware they are spoilers in the first place. Then there is the question – do I really want to see this, and then have to go back to the start to get a fuller picture of how things went down, etc? 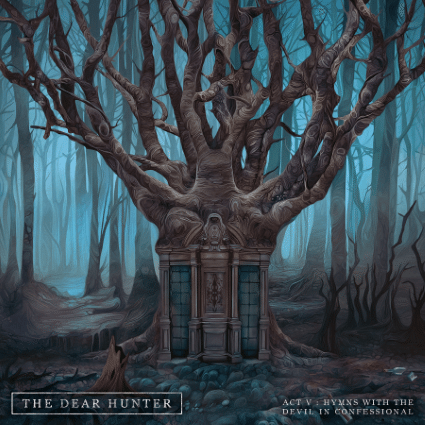 This is the case with The Dear Hunter (not to be confused with one of the greatest pieces of cinema ever, The Deer Hunter), multi-instrumentalist, composer and vocalist Casey Crescenzo’s latest work/collaboration/project. 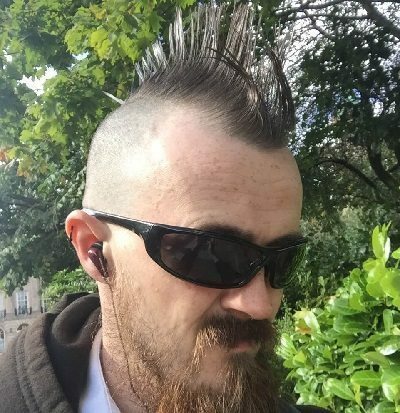 After doing some digging, trawling the usual sources of Wikipedia, fan forums, official artist/project sites and online theories (thankfully there were no Illuminati undertones, reptilian elite rulers, chem trails or cures for cancer which BIG PHARMA don’t want us to have-!) I managed to piece together a very crude but semi-working outline of what this epic six-part series (of which this is the fifth installment) is actually all about. Set in the late 1800s-early 1900s, the tale details the story of a man’s life from childhood to what we assume will ultimately be his demise. Including run ins with ladies of the night, men of the cloth hiding secrets behind their vestments, and the hellish environment of World War One (not to mention political scandals and identity theft) this story delves deep into the side of human life in the city which many talk about with hushed voices, for fear of someone overhearing. From the opening moments of the first track, this rock opera of sorts rings out with that classic prog rock sound of the likes of Yes. That warm feel from the sound, gentle and caressing with its sonic touch, is gentle but expressive enough to slowly build the world this album details around you. The use of traditional stringed instruments and horns helps give a grandiose feel. Given the ‘time’ in which this story is set, they fit rather well. Combining with subtle but piercing synths and crisp distortion when the situation calls for a heavier and more ferocious approach, it really stands out. This use of dynamics and complementary sounds really helps augment situations in the lyrics which detail a tense situation; a clear example of this is “The Most Cursed Of Hands” in the early stages of the album, where wave-like peaks and troughs of musical intensity and dramatics are on show throughout the track. Vocally, it is soft and easy to follow, with great control and clarity. There is a melodic quality to the delivery, but the main aspect is the emotion, an essential part of a narrative delivery. Being able to add that feel, conveying urgency, sorrow, frustration or complacency when required, instead of coming off as lifeless, is a fine art and is being performed to the level you would hope for on this recording. See the track, “The Revival” for an example. The music is rather lively, infectious with its pseudo-funk rock fusion feel and the delivery of the vocals is one of enticement and passion, cleverly executed by increases in volume and power. The variety of styles on display is vast too. Ballads, creative instrumental sections, raw rock and period stylings (in this case, jazz, blues and the ol’ ragtime) help create a wide and attention-holding sound, something which when combined with the vocal delivery and the musical performance, is essential for keeping a listener engaged in such a complex and gripping story. Of course, there are flaws with the recording. The story, whilst engaging, is hard to follow (especially if you have no prior knowledge of the previous four installments). The number of tracks may deter the casual listener too, making them wonder if there is a ‘Cliff Notes’ track listing or playlist which will give them the basics of the story. The musical delivery too, whilst executed to a high standard, may not be everyone’s preferred progressive rock delivery (myself included) – these folk may be put off by the slower and more restrained feel throughout the album instead of the raw rock of other bands of the mileu (Kansas, Rush etc.). Still, positives and negatives aside, and looking at this from a purely musical aspect, you can only ask one awed question of ‘The Dear Hunter’, or perhaps eavesdrop the answer at the titular confession to the devil: how did he create a well polished album which can be listened to on a purely musical basis and still not hinder the story he has been crafting for years? Warm or Wet? Where Does Europe’s Eldest Inhabitant Choose?